SPP or third parties working on our behalf (“Service Providers”) may collect the following types of information. Whether you access the Services from your computer, smart phone, tablet or other mobile device, we collect certain types of information from you. We may collect information that identifies or relates to you as an individual (“Personal Information”). For example, Personal Information may include information about you personally (such as your first and last name, mailing address, telephone number, e-mail address, user name and password), information about the device you use to access our Services (such as device ID, IP address, geolocation, etc. ), information you provide for transactions and order processing (such as financial account and other payment information, and other personal information needed to respond to your requests or questions. This list is not intended to be exhaustive. When you use the Services on a mobile device, we may collect information about the type of mobile device you use, including its temporary or persistent “device identifier,” its IP address(es), operating system, browsers used to access the Services, information about how you use the Services, and your device’s location (see below). You may be able to use our mobile applications to scan barcodes or take images of items or places to create lists or participate in promotions. To do so, our mobile applications may request permission to access your camera and photo files. Please note that some features of the Services or mobile applications may not be usable or available to you if you do not grant us such permission. With your permission, some Services may collect precise information about your device’s location using technologies such as Bluetooth beacons, GPS, Wi‐Fi signals, or cell tower signals. We may also use technologies to determine if you are visiting one of our locations by relying on signals transmitted by your mobile devices. We collect this information to provide you with services, content and offers based on your location. For example, we may use our mobile applications to provide you with the location of nearby promotions. You may be able to enable the Services to notify us when you enter one of our locations so that we can let you know about the events and offers available in that location. To opt out of the collection of precise location or presence information, you can adjust the permissions on your mobile device or uninstall our mobile applications. To turn off the collection of precise location or presence information by SPP, you can adjust the permissions on your mobile device or uninstall our mobile applications. Please note that some features within our Services may only function upon confirmation of your location and may not be available if you choose not to provide your location data to us. The specificity of location data collected may depend on factors such as device type (e.g., laptop, smartphone, tablet) and Internet connection type (e.g., broadband, cellular, Wi Fi). For example, some of our Services may require you to register an account. When you do, we’ll ask for personal information, like your name, e-mail address, mailing address, and telephone numbers to store with your account. In addition, to take full advantage of sharing or other features we may offer, we may also ask you to create a publicly visible profile, which may include your name, photo, select biographical information, other personally identifiable information, etc. SPP may collect device specific information (such as your hardware model, operating system version, unique device identifiers, and mobile network information including phone number) and we may associate your device identifiers or phone number with your account. cookies that may uniquely identify your browser or your SPP account. When you use SPP services, we may collect and process information about your actual location and we may use various technologies to determine location, including IP address, GPS, and other sensors that may, for example, provide SPP with information on nearby devices, Wi-Fi access points and cell towers. Certain of the Services may include a unique application number that, together with information about your installation (such as operating system type and application version number), may be sent to SPP when you install or uninstall that Service or when that Service periodically contacts SPP servers, such as for automatic updates. SPP may collect and store information (including Personal Information) locally on your device using mechanisms such as browser web storage (including HTML 5) and application data caches. When we show you tailored ads, SPP will not associate an identifier from cookies or similar technologies with sensitive categories, such as those based on race, religion, sexual orientation or health. SPP also may use such technologies to collect and store information when you interact with the services that SPP offers to its partners, such as advertising services or similar features that may appear on other sites. SPP may use this information to analyze the traffic to our Services and apps and may combine such data with information about visits to multiple sites. We may use Google Analytics to learn about how you and others use the Services. You can learn more about how Google uses the information it collects at https://www.google.com/policies/privacy/partners. Information that SPP obtains or receives when you use our Services may be combined with information we obtain about you from partners, affiliates, publicly available records, data brokers and other services or sources and then associated with your SPP account. For more information about how you can access, manage or delete information that is associated with your SPP account, please refer to Your Options below. Operate and expand our business activities. Web browsers allow some control of most Cookies. Please review the settings for your Web browser for more information. You can learn more about Cookies, see what Cookies have been set on your computing device and learn how to manage and delete them by visiting http://allaboutcookies.org. SPP and Ad Partners also may use these technologies to track the actions of users of the Services over time and across third-party websites, apps or other online services to display ads on third-party websites, to measure statistics of our marketing efforts, and to deliver advertisements on the Services that may be more relevant to individual consumers and to otherwise improve the consumer experience on the Services. SPP may send you “transactional or relationship” communications using various electronic communication methods, including e-mail, mobile and/or SMS or text (see below for more information regarding text messaging) communications. “Transactional or relationship” communications may include, for example, notices to facilitate a recent transaction you have conducted or messages with information about your existing account. If, at any time, you decide you would rather not receive these types of communications from SPP, you can opt out by following the “opt-out” or “unsubscribe” or “STOP” instructions in the relevant communication or update the contact preferences for your SPP account. How May We Disclose the Information We Collect? We may share your Personal Information with outside companies, organizations or individuals when we have your consent to do so. We require opt in consent for the sharing of any sensitive Personal Information. Certain areas of our Services may be provided to you in association with third parties, such as brokers and agents who provided products or services relating to the development of our real estate or development projects. We also may partner with other companies to provide you with content or services on a joint or “co-branded” basis. We may share Personal Information with these third parties if you sign up to receive additional information or updates regarding our projects, participate in a co-branded or jointly presented feature or service, or as otherwise communicated at the time you provide the Personal Information or register for the feature. We may disclose your Personal Information to Service Providers to provide us with services such as website hosting, professional services, including information technology services and related infrastructure, customer service, e-mail delivery, auditing and other similar services. We may disclose your Personal Information to Service Providers to perform services you request or functions you initiate, such as when you post information and materials on message boards and social media forums, including our Facebook Page and any other social media platforms or channels. Please note, that when you post information in a public forum it becomes public information. We may also disclose your Personal Information to identify you to anyone to whom you send communications through the Services, if applicable. Other Information (as defined above) that SPP collects generally will not personally identify you or be correlated to you individually for external purposes and we may collect, compile, store, publish, promote, report, sell, or otherwise disclose or use any Other Information, for any legal purpose. For example, SPP may share such Other Information publicly and with our partners – like publishers, advertisers or connected sites, to demonstrate trends in the use of our Services and for other purposes. SPP has implemented reasonable safeguards designed to prevent loss, misuse and unauthorized access, disclosure or modification of Personal Information provided or collected through the Services. With respect to billing information (if any) and other Personal Information collected through the Services, we use Secure Socket Layer Technology or SSL to encrypt or scramble that information during transmission. In addition, SPP reviews our information collection, storage and processing practices, including physical security measures, to guard against unauthorized access to systems, and we restrict access to Personal Information to SPP employees, contractors, vendors and agents who need to know that information to process it for SPP, and who are subject to strict contractual confidentiality obligations and appropriate consequences if they fail to meet these obligations. Unfortunately, no system or online transmission of data can be guaranteed to be 100% secure and you should always take appropriate security measures to protect your Personal Information, including ensuring that you have up-to-date antivirus and anti-malware software. If you believe that your SPP account or any information you provided to us is no longer secure, please notify us immediately through the Contact Us information provided below. You should never disclose or allow access to your password to anyone who is not authorized to access your personal information. Passwords should always be kept confidential. In the interest of protecting your account security, SPP recommends that you change your password on a regular basis and immediately if you suspect that your account security has been jeopardized. What About Social Networking or Third-Party Sites? When using the Services or when using certain third party social networking services (e.g., Facebook, Twitter, Google +) (each a “Social Network”), you may have the option to connect your Service information and activity with your Social Network information and activity. If you authorize such a connection, you permit us to share or publish information about your Service activity with that Social Network and its users, and to access certain of your Social Network information, as disclosed to you at the time you consent to the connection. If you have created an account with us you are required to keep your information accurate and up to date. You are entitled to correct all personal data you provide to SPP, or to remove your name from SPP’s contact list at any time by updating your preferences. As noted above, you may set your browser to block all cookies, including cookies associated with the Services, or to indicate when a cookie is being set by us. However, please keep in mind that many of our features (such as remembering your preferences) may not function properly if your cookies are disabled. When you use the Services, SPP strives to provide you with access to your Personal Information to the extent feasible. If that information is wrong, SPP will attempt to offer you options for quickly updating or deleting it – unless SPP needs to keep that information for legitimate business or legal purposes. For your protection, when you seek to update your Personal Information, SPP may require you to verify your identity before SPP can act on such request. SPP may reject requests that are unreasonably repetitive, require disproportionate technical effort (for example, developing a new system or fundamentally changing an existing practice), threaten the privacy of others, or are extremely impractical (for instance, requests concerning information residing on backup systems). Where SPP can provide information access and modification or deletion, SPP will endeavor to do so without charge, unless fulfilling the request would require a disproportionate effort by SPP.  SPP constantly strives to maintain our Services in a secure manner that protects information from accidental or malicious destruction. Because of this, if you delete information from the Services, SPP may not immediately delete residual copies from its active servers and may not remove information from its backup systems. What About California Residents’ Privacy Rights? If you live in California and have an established business relationship with us, you can request a list of the personal information we have shared with third parties for their marketing purposes. We will also give you a list of the third parties that have received your information. You can make a request one time each year. To exercise your rights, you can e-mail us at privacy@spprealestate.com or contact us as set forth below (Contact Us). Please be sure to mention when you contact us that you are making a “California Shine the Light” inquiry. We will respond within thirty (30) days. What About Kids Under 13? SPP does not target children and does not knowingly collect any personally identifiable information from children under the age of thirteen (13). When a user discloses personal information on the Services, the user is representing to us that he or she is at least thirteen (13) years of age. If you are the parent or guardian of a child under the age of thirteen (13), who you believe has provided SPP with personally identifiable information through the Services, please e-mail us at privacy@spprealestate.com so that we can delete the child’s information from our records.